The most intriguing aspect of Silicon Valley is also one of its greatest liabilities: It exists in a vacuum. It’s a place where popularity is power and users are profits. All the while, the investments from venture capitalists that go into these companies are still very much comprised of real money. In 2013, venture capitalists invested nearly $30 billion into U.S. companies, the largest amount since 2001, at the tail-end of the dot.com tech bubble crash. As investment increases, expectations of future growth stalls and more companies enter the fray. We may be witnessing the formation of the second bubble to hit the tech industry in the last 15 years — one I call the hashtag bubble. Facebook’s $19 billion February buyout of WhatsApp, a multimedia messaging app, and its $2 billion March buyout of Oculus Rift VR, a virtual reality company, have compounded the public’s skepticism of the tech industry’s indefinite viability. The latest string of high-profile buyouts are being made on the basis of potential for later growth. It’s the reason why public internet companies like Twitter are worth tens of billions of dollars when its quarterly profits are typically small or nonexistent. Investors are essentially betting that these tech companies can focus on building their popularity now and can introduce monetization efforts much later to their expanded base of loyal users. Risky investments are nothing new, but with so many tech companies following this path for growth and eschewing initial returns, the collective risk is huge — like trillions huge. Will all of these major tech companies be able to continue at their expected growth rates or is the entire industry headed towards doom and gloom? Twitter, one of the industry’s most visible and discussed social media companies, may be serving as a harbinger of the pain to come. Last Tuesday, the company’s share prices fell 17.8 percent following the expiration of a lockup inhibiting early investors and employees from selling shares. The revealing selloff and slow user growth over the past quarter prompted analysts to again lessen expectations for the company’s future growth. By the following day, the share price was down to almost half of what it had been at the year’s start. The precariousness of predicted future growth in the tech industry is not confined to volatile social media companies that operate solely on ad revenues, however. Amazon, a popular online marketplace, has a reputation among analysts as one of the most reliable investments in the tech industry, despite consistently making minuscule quarterly profits in the pursuit of huge revenue gains. This strategy generally hasn’t been seen as a problem for investors, who believe that by building up customer loyalty now, Amazon will be able to raise prices in the future without sacrificing growth. A report published last month by Ohio State researchers calls these assumptions into question, suggesting that when it comes to price hikes Amazon consumers aren’t all that loyal. The report detailed that in states where Amazon has begun to start charging state sales taxes on top of its orders, spending with Amazon per household declined by about 10 percent. Concerns regarding reliability of future growth have caused Amazon’s share price to drop more than 25 percent since the year’s start. These specific instances from high-visibility corporations illustrate key problems stoking the current bubble: online loyalty and popularity’s short shelf life. If users are obstructed by a paywall or excessive advertising and they can find a better experience somewhere else, they will. This is why the idea of pushing off monetization for startups so long is such a troubling concept in an online culture where most things are expected to be free forever. The ultimate effect of this is that these established public tech companies will begin to make their returns by using invasive money-making methods encouraged by shareholders. In the meantime, however, newer companies — unburdened by investors’ interests — will be able to sweep in and steal users who are unsatisfied with the old guard’s cumbersome monetization attempts. As the years go on, and I suspect it will be a couple years before the hashtag bubble pushes to its maximum surface area, venture capitalists will come to terms with the fact that on the internet, just because something is wildly popular doesn’t mean it’ll be worth billions of dollars when the dust settles. Investors probably won’t do anything with that information though, because in the meantime Silicon Valley will continue to make more and more billionaires, all the way up until the hashtag bubble bursts and it starts unmaking them. 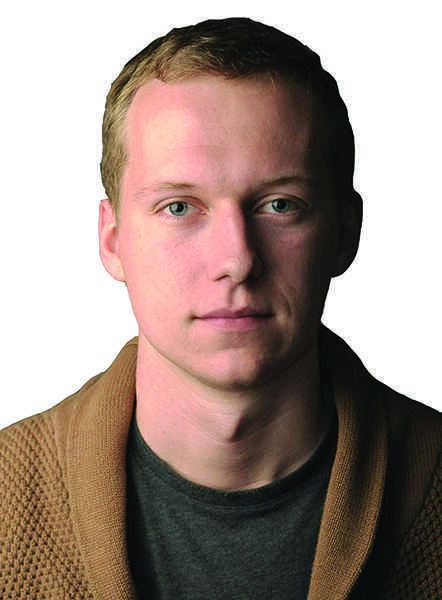 Lucas Matney is a Medill sophomore. He can be reached at lucasmatney2016@u.northwestern.edu. If you would like to respond publicly to this column, send a Letter to the Editor to opinion@dailynorthwestern.com.